For every 1 liter of Volvic water that the Japanese buy Volvic donates enough time, effort and money to supply the people of mali 10 liters of clean water…I think in this day and time it is a great promotion. Simon Le Bon Turns 50! 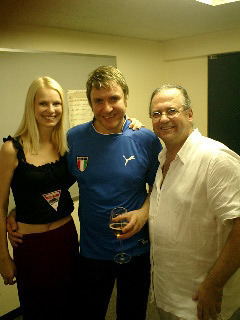 This will blow your mind…my friend Simon Le Bon of Duran Duran turned 50 today. Le Bon was just 22 when his band’s self-titled debut was released. The guys are still rocking, though, and in December they’ll play several U.S. cities in support of their latest album, Red Carpet Massacre. The collection includes Elvis, David Bowie, Cocteau Twins, Duran Duran (Rio, of course) and Kraftwerk’s Man Machine, which was “found by Nick (Rhodes) and John (Taylor) on a shopping spree in Rimini, Italy.” You can see photos on the site. Hey now I don’t feel so old either! This article appeared Mediapost and it shows how although tradition is considered “dead” by many it has now invading the web very aggressively. Madison Avenue is increasingly turning to neuroscience to refine the art of crafting successful ad campaigns. The Nielsen Co. jumped into the field earlier this year by investing in Berkeley, Calif.-based research firm NeuroFocus, which applies neuroscience to advertising research. Now Google is applying “neuromarketing” to video advertising. In a study released Thursday, Google and MediaVest used NeuroFocus findings to show that overlay ads appearing in YouTube videos grab consumers’ attention and boost brand awareness. YouTube-owner Google has championed overlay ads–which appear in the lower third of video screens–as a less intrusive alternative to pre-roll ads. But the format has failed to gain much traction with advertisers, and earlier this month Google announced it would begin running pre-, mid- and post-roll ads with the launch of full-length videos on YouTube. Sounds subliminal doesn’t it? With revenue from YouTube ads falling short of company expectations at an estimated $200 million this year–mostly from display ads–the pressure grows to find new ways to monetize the Web’s largest video site. Through the overlay study, Google is clearly trying to make the case for the format to brand advertisers that may be skeptical. “Overlay ads are a format used primarily for branding campaigns, so measuring click-through rate is not the most effective way to measure success,” said the company in a statement. I thought this was frank and useful…the teen market is now bigger than the Baby Boomer market and although they have less to spend than their parents…they will be the consumers of the future for many brands today. 1. Too often, I think brands believe frippery is fantastic, it’s not – get to the point. Kids – like adults – probably want to know something along the lines of the following from your site… a) where your nearest store, event or retailer is, b) what your product/event/etc is going to cost them, c) how to get in touch with you or d) something pretty much damn nothing like playing a game whereby you click a cursor so some girls knickers fall off. 2. Present the freaking facts. Have a place where kids can put their own opinions down, and be approachable. 3. 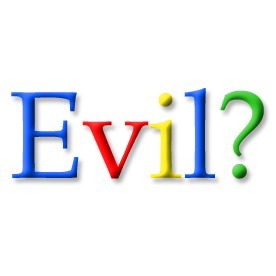 Don’t redirect them, that’s just rude – they’ve just turned up at your digital door. Sort your URL out. 4. Don’t put some tune you think is ‘hip’ on in the background; it won’t be. 5. And don’t turn up on their Facebook page and think you know what’s going on – you don’t. 6. Also, whilst we’re at it, if they’re recently broken hearted, they won’t want to speak to you about it. Secondly, they don’t want you shoving some ‘Single? Broken-Hearted?” quip questions at them either. Have some manners. 7. Bebo… is not looked at by anyone over the age of 12. I’d say 8, but they’ll have some statistic to wak back at me that would disprove my point. 8. Do not, whatever you do, appropriate youth culture on your site, but hell, we hope you know this. 9. Avoid pop-ups. Kids hate them. One thing can be said about YouTube co-founder and CEO Chad Hurley: he’s not shy about locating his company’s place in communications history. Hurley gave the keynote for the digital portion of Mipcom in Cannes, France, today, and compared YouTube to CBS in 1941: that is, fighting for advertiser acceptance and content owners’ fear that it would mean the end of big media which, at the time, meant radio.
. CBS has had 250 million views of its YouTube channel, and is selling its own ad inventory on the site. Finally just like my phone in Japan this deal could turn cell phones into credit cards for US consumers. Life may take Visa, but life today for many takes a cell phone. 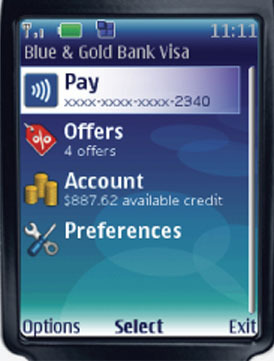 So Visa is going mobile, striking a deal with Google and its new Android mobile operating platform that incorporates not only innovative mobile payment methods but takes advantage of new marketing technologies. With Android, some users will soon be able to opt into a Visa system to sign up to for offers from marketers that sends deals sent directly to their phones. A user could click an “Offers” button on his or her phone to see what the latest deal might be. Then, through a “Locator” feature, which uses Google Maps, the customer can find exactly where the nearest retailer offering the deal is located. I will certainly have more on this soon as this will change the way we live in a very short period…In Japan my phone is key not my wallet.